Fremiet was one of the best of the Animalier sculptors and created many fine models of dogs, cats, horses, and other animals in his early career. He excels at showing the nature of the animal and his works are highly prized today. 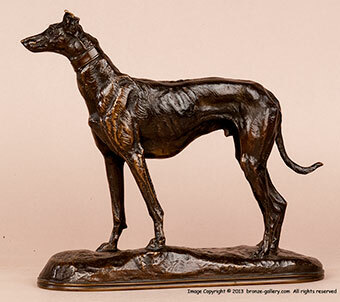 This bronze shows a fine model of a standing Greyhound dog on the alert. Fremiet did a rare pair of Greyhounds standing on a base and this is one of the dogs from that group. 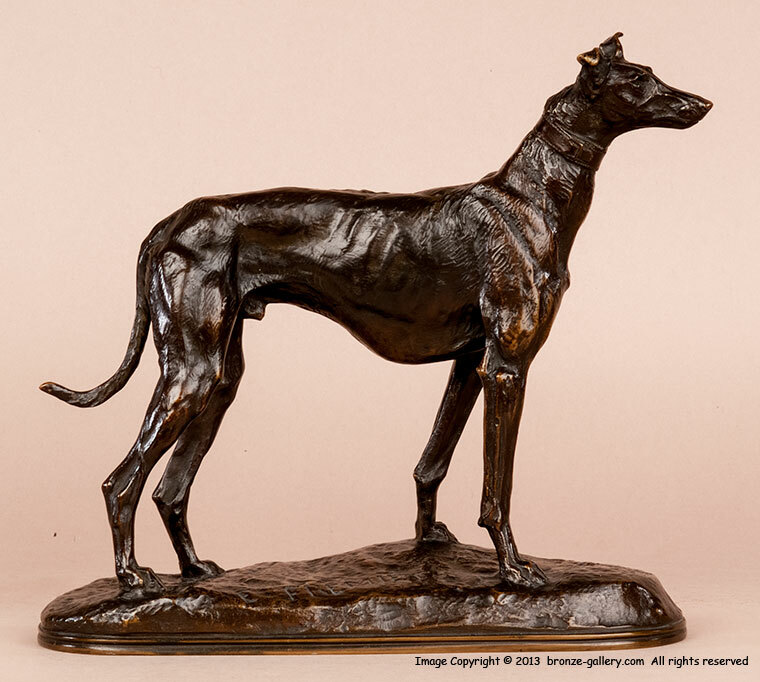 The Greyhound is a fine cast by the famous Barbedienne Foundry who also cast many works by Barye and other sculptors. The bronze has sharp details and a warm dark brown patina. A cast showing the two Greyhounds is illustrated in Payne's book Animals in Bronze on page 200.